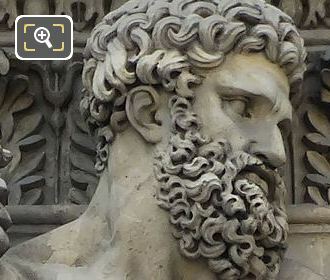 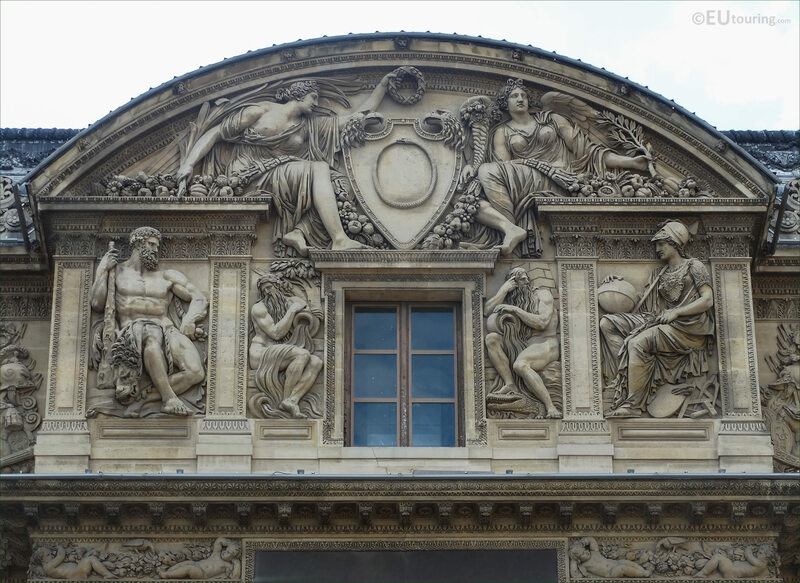 While we were in the 1st Arrondissement of Paris at the Musee du Louvre, we took these high definition photos showing a bas relief called Hercule, which was sculpted by Philippe Laurent Roland. 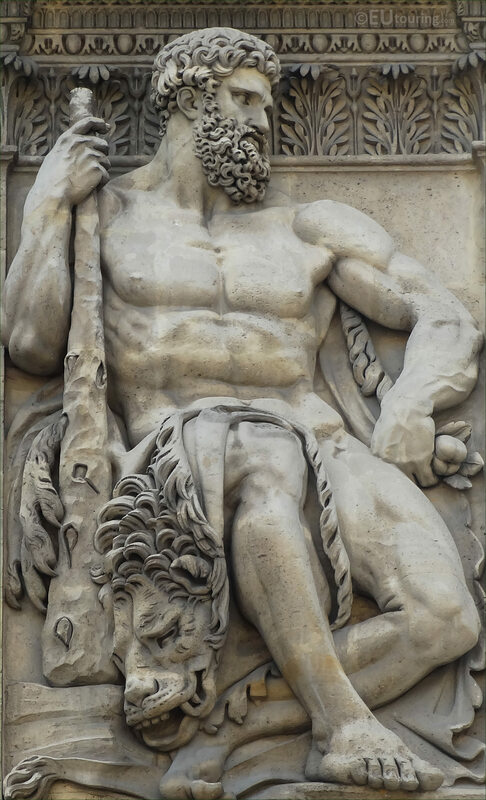 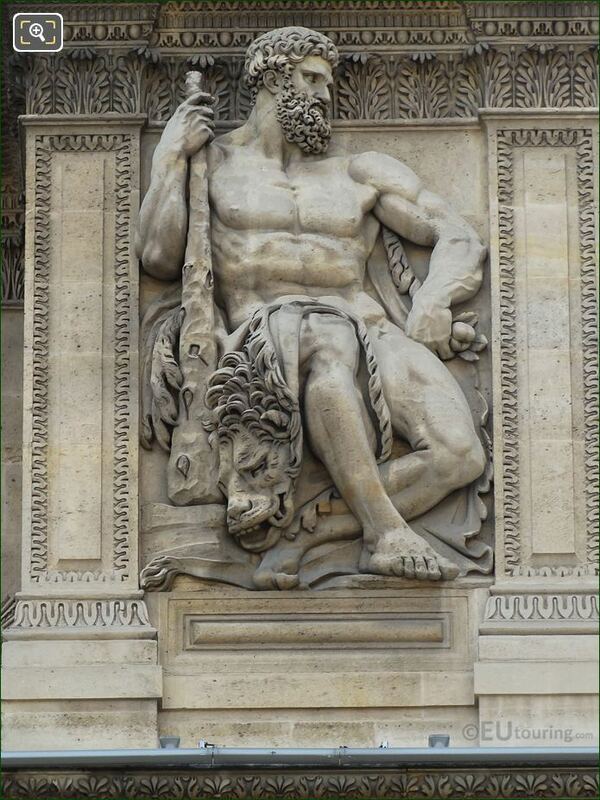 This bas relief sculpture is called Hercule, which in English along with Roman mythology is Hercules, however, the name in Greek mythology is Heracles, and as you can see from this first HD photo the artist has depicted him with his most famous attributes of the lion skin and holding a club, recognised for what became known as his twelve labours. 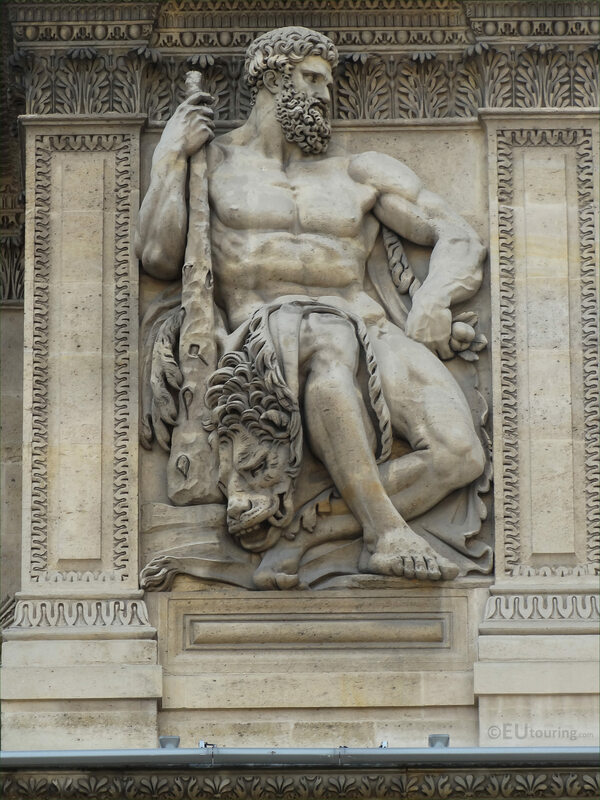 Now this particular bas relief of Hercules was sculpted by Philippe Laurent Roland who was born in 1746 and although he did not get formal training at the Ecole des Beaux Arts to become a French sculptor, he entered the studio of Augustin Pajou, which led to a great collaboration and very successful career. 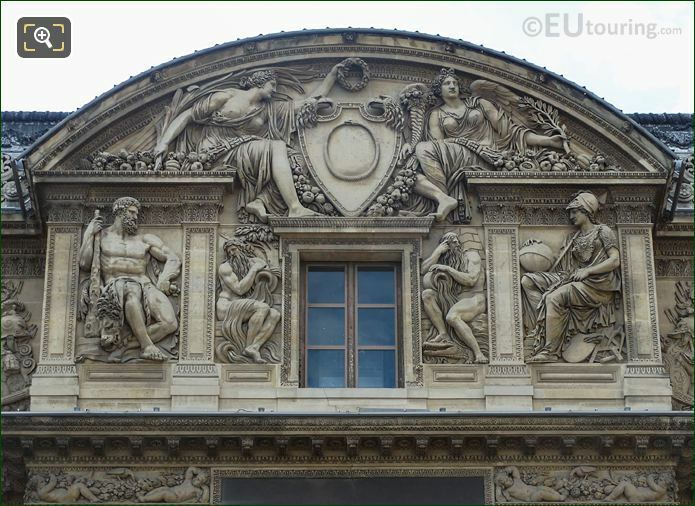 In fact, Philippe Laurrent Roland was entrusted many ornamental work by his teacher Augustin Pajou for famous tourist attractions, which included the Palais Royal, the private apartments of King Louis XVI and Marie Natoinette at the Chateau de Versailles, the Pantheon, Chateau de Fontainebleau and the set of bas relief sculptures you can see here on the top level of the former Palais du Louvre. 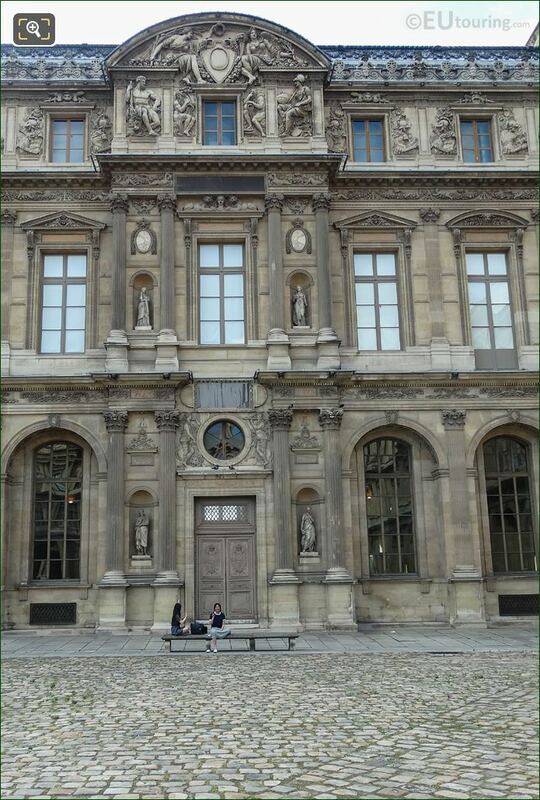 However, in this photograph you can see the entire middle section of the historical facade of the Aile Lemercier, which was constructed in the 1600s, but it was only in 1806 under the orders of Napoleon Bonaparte that the wing was decorate with ornate details to complement the Aile Lescot. 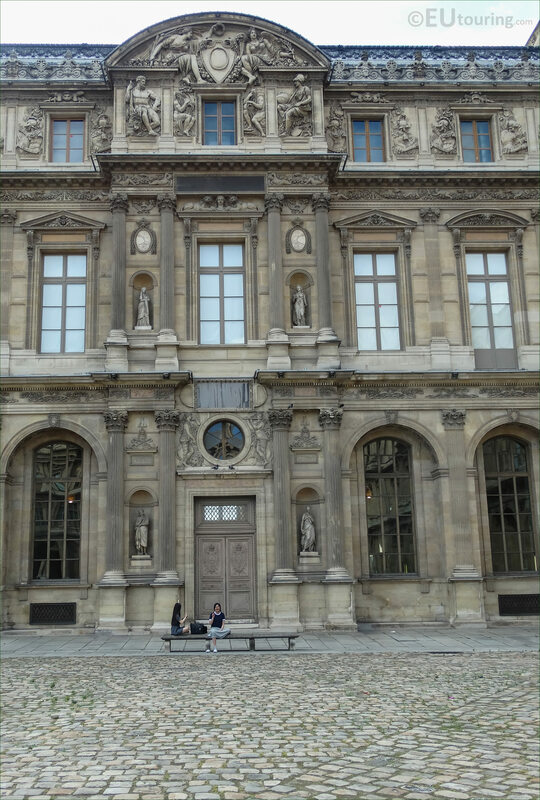 And you can see that the Hercules bas relief is positioned on the third level below the pediment to the far left hand side of the window on this wing, which can be viewed from the courtyard of The Louvre called the Cour Carree.